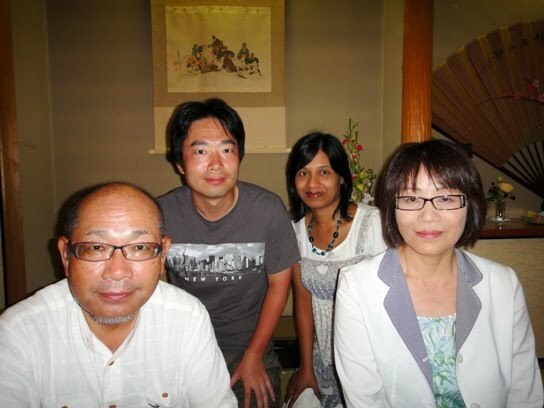 On 15th August, during the Obon Holidays, hubby and I visited Tojinbo. Tojinbo is a stunning and beautiful scenic area located in Anto part of Mikuni Town in Sakai City of Fukui prefecture. It is located within Echizen-Kaga Kaigan Quasi-National Park. Tojinbo is a series of basaltic legendary cliffs composed of huge columns of rocks on the coast of the Sea of Japan. The rocky cliffs are over 30 meters high, stretch for about 1 kilometer, and command an impressive view. The cliff’s rocks are pyroxene andesitic and were formed 12 to 13 million years ago by volcanic activities. The flowing magma solidified to formed pentagonal and hexagonal shaped pillar like crevices. Then through the years of continuous pounding and erosion by the sea waves, the surface and shape of such columnar volcanic rocks called columnar joints were formed. These impressive giant pyroxene andesite columnar joints are a very rare geological phenomenon. In fact, Tojinbo cliffs are one of the only three such rocky pillars of its kind in existence in the world, with the other two being Mount Geumgangsan in North Korea and the western coast of Norway. The astonishing scenery of Tojinbo is geographically and academically extremely valuable and has been designated as a national natural monument and a place of scenic beauty. Tojinbo is a popular tourist spot. It is said that the name of Tojinbo cliffs comes from a Buddhist priest named Tojinbo. The legend has it that he was a corrupt and powerful priest of Heisenji Temple (English site or Japanese site) in Katsuyama City. He was very unpopular and was despised by other priests and the local people. Tojinbo fell in love with a princess named Aya but the princess had another admirer named Magara Kakunen, and so a great rivalry ensued between Tojinbo and Kakunen. On 5th April 1182, the enraged priests of Heisenji Temple, Kakunen, and the local people lured priest Tojinbo from the temple to the cliff. The corrupt priest was then pushed off the cliff into the sea by other priests and Kakunen. Tojinbo died and haunted the cliff causing violent storms and waves. It is said that every year the storms were incredibly strong on 5th April, the day of his death. Years later, another priest took pity on vengeful Tojinbo and held a special memorial service for him. Since then the evil spirit of Tojinbo was somewhat appeased but his ghost is said to still haunt the area. Although Tojinbo with gigantic pillar rocks is a stunning and beautiful scenic area, the cliffs also have a dark side. Tojinbo is a well-known place in Japan to commit suicide. As many as 25 people come here annually to commit suicide by jumping off the 30 meter high cliffs, and throwing themselves onto the jagged rocks and crashing waves. 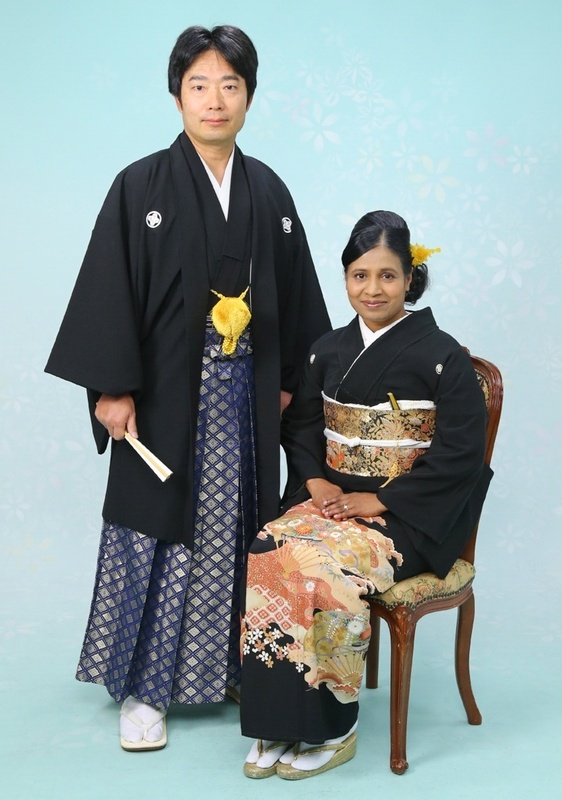 During the Obon Holidays, hubby and I visited our home in Ichinomiya City in Aichi prefecture. 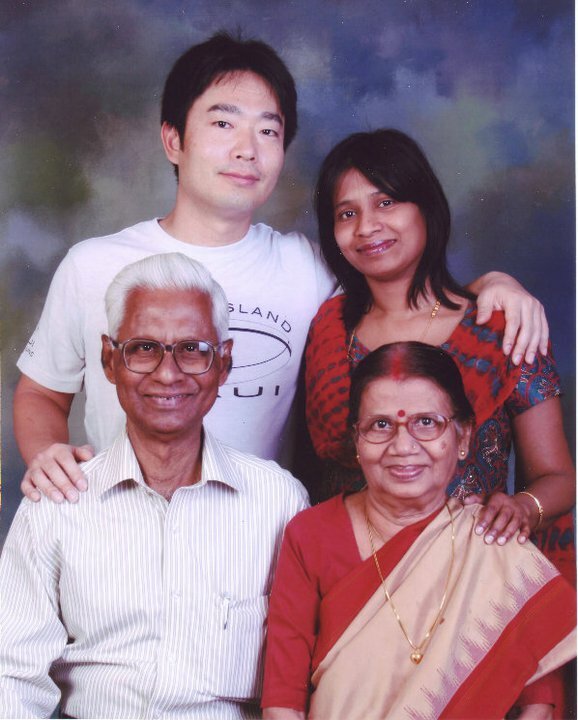 On 15th August, we borrowed my father-in-law’s car and left home at about 10 am to go to Tojinbo cliffs. Tojinbo is located about 190 kilometers north-northwest of our home, and it took us about 3.5 hours of car ride to reach there. Usually it takes about 2.5 hours but it was a holiday season and there was a lot of traffic on the road. After reaching Tojinbo, we parked our car at a parking area, and started walking along a paved pathway leading to the cliffs. There are many souvenir shops and restaurants along both sides of the pathway. While walking, we saw a statue of a Buddhist monk along the pathway. 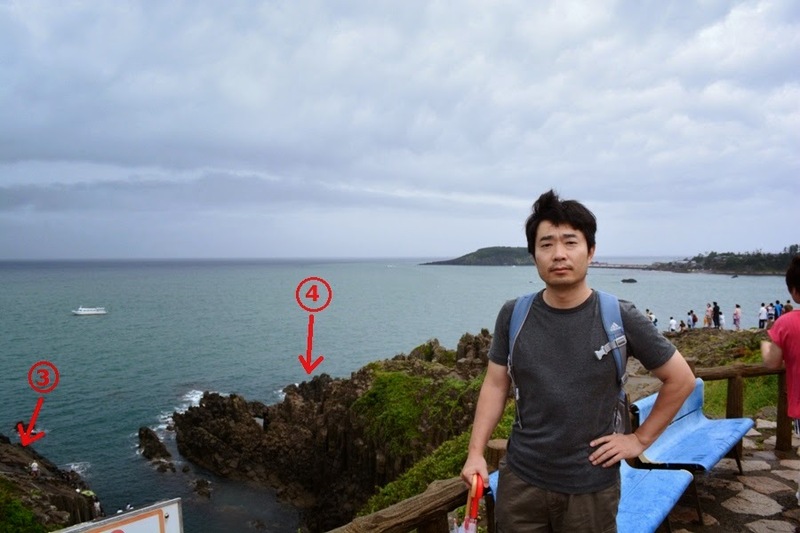 We reached the top of the cliff area after about 10 minutes of walking, and the first thing we saw was the blue colored Sea of Japan right in front of us. At the top, we saw a wooden monument indicating that Tojinbo belongs to Echizen-Kaga Kaigan Quasi-National Park. Standing on the top of the hilly cliff area, we looked over the Sea of Japan and saw a series of surreal, eerie, huge basaltic cliffs on the rocky coast of the sea. We also saw that the sea is dotted with huge strangely shaped rocks. We enjoyed the dynamic scenic views all around us, and clicked several photos of the gorgeous rocky scenery and the vast sea. From the cliff top, we saw an island named Oshima to our right side to the north-northwest of Tojinbo. Oshima is a small island with a circumference of about 2 kilometers and has a shrine. A 224-meter long red lacquered bridge connects the island to the northern part of Anto, Mikuni Town. Next, we walked along a paved pathway down the hill towards the rocky cliffs located to the west side right in front of us. We walked for several meters and looked down at the rugged precipitous cliffs. We saw four interesting points in the rocks and cliffs, and decided to look at them from a closer range. I have marked the four points as 1 through 4 in two of the photos below. We walked down the rocky slope marked as 3 to observe the other points 1, 2, and 4 in greater details. View of wonderful huge rocks and rugged cliffs right in front of us. Three interesting points are marked as 1, 2, and 3. Hubby is standing in front of yet another scenery right in front of us. Two of the interesting points are marked as 3 and 4. We started walking down the rocky slope 3 and saw wonderful details of points 1 and 2 to our left side (south). Huge pentagonal and hexagonal pillar shaped rocks called columnar joints looked magnificent. It was the first experience for us to see such columnar rocks and we were really impressed by Mother Nature’s systematic and artistic arrangement of the rocks. We took several photos of points 1 and 2 while walking down the rocky slope 3. As I wrote earlier, we walked down the rocky slope 3 to have a look at points 1, 2, and 4 in details. Rocky slope 3 has interesting rock formation and arrangement too. All the rocks are so closely and perfectly packed that they look as if they are designed by some supernatural forces. We clicked a few photos while walking down this rocky slope 3. We stayed at the bottom of the slope for some time and enjoyed the beauty of the sea and the strangely shaped huge rocks dotting the sea. I have reached the bottom of the rocky slope 3 where the sea meets the rocky beach. The lowermost part of the interesting point 4 is seen to the right side of the photo. Afterwards we started climbing back up the rocky slope 3. To our left side (north), we saw the details of a huge rocky cliff that I have marked as point 4. 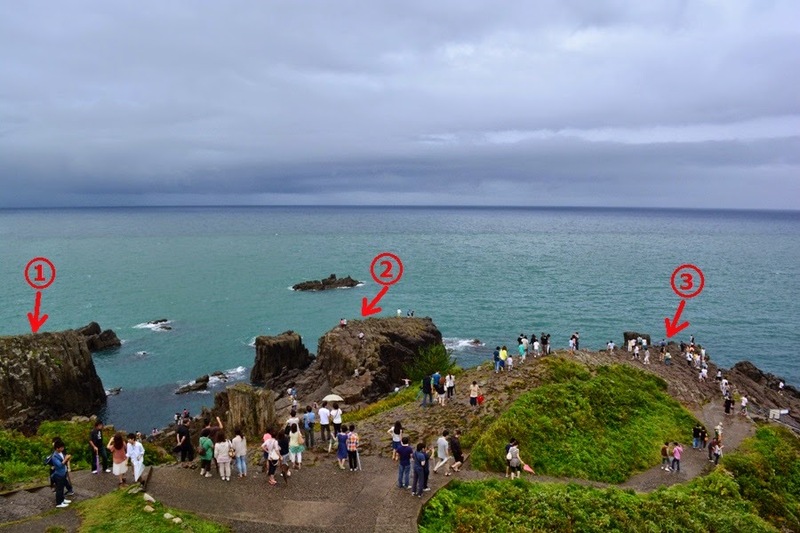 The height of the hexagonal and pentagonal pillar shaped columnar joints at the highest point of cliff 4 is about 30 meters, and the western side of the cliff gradually tapers off to the sea. Just looking at the sheer cliff rise nearly vertically from the sea to such dizzying heights was enough to make my legs give way. But hubby had a thrilling experience. He walked along the northern edge of the rocky slope 3 and clicked a few photos of cliff 4 from various positions and angles. We saw many people standing on the edge of cliff 4 and looking downwards. In the absence of any safety railings at the cliff, I was afraid that people might accidentally fall over the cliff edge or I might witness a suicide attempt by someone atop the cliff. It was really an intense and memorable experience for me to see the huge magnificent rocky cliff 4 from so close a range. Next, we walked along a paved pathway leading towards the north side on the top of the hill. While walking, we saw a sightseeing boat near the base of the rocky slope 3. The dynamic scenery of Tojinbo cliffs can also be enjoyed from a different angle from the sea. We continued walking for a few tens of meters along the pathway and saw a beautiful arrangement of columnar rocks in the shape of a monument. 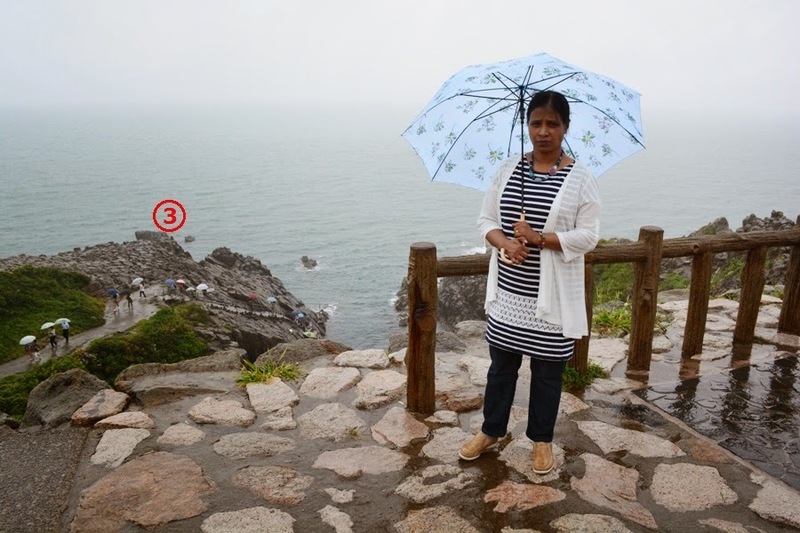 It had been raining on and off the entire time we visited various spots on Tojinbo cliffs. But soon after we saw the wonderful monument-shaped columnar rocks, it started raining very heavily. So we gave up visiting other interesting spots at Tojinbo that day. We returned to the car parking area and started back on our way home to Ichinomiya. We had dinner at a roadside service area in Nanjo City in Fukui prefecture. Our dinner of Tori-don (chicken over rice bowl) set and Hambaagu (hamburger steak) set was simple and delicious. We enjoyed our trip to Tojinbo cliffs though I wish the weather was a bit better so that we could have explored several more interesting spots on the cliffs.